Sugar – Not So Sweet | Live. Learn. Love. Eat. More great info about sugar here. Being a baking fiend, I use quite a lot of sugar, but we’re a healthy family and I’m certain we none of us eat too much. These stats are scary though, and it’s easy to see how you could quickly eat more than your body can cope with. Thanks for posting them! Sugar is the one bad habit I am having difficulty breaking. 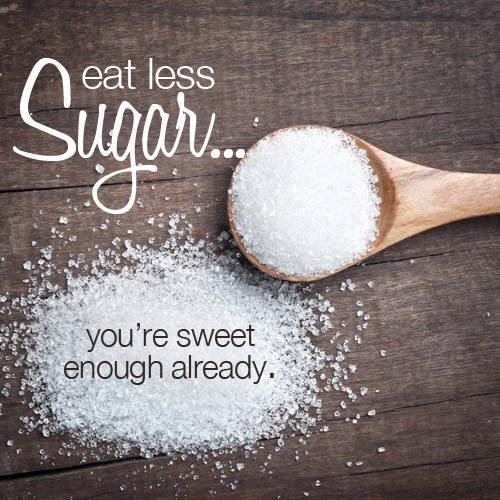 I have been using less sugar and using the more natural sugars when I do have something sweet…but I want sweet pretty often. Yes I agree with sugar being highly addictive. I have been using coconut sugar in my baking now and the kids don’t even notice the difference. Still tastes good.